The official start to the 2019 college baseball season is about three weeks away. Last week we announced we have created a scoring system to rank the top 50 college baseball programs since the Regional Era started in 1975. (We explained why we chose 1975 as the starting point in Top 50 College Baseball Programs since 1975: Teams No. 41-50.) The scoring methodology will be revealed once all 50 teams have been revealed. Last week, we revealed the college baseball teams that ranked 41 – 50. Today, we reveal numbers 31-40. Just a few thoughts on some of these teams and why they landed in their respective spots. Auburn – A National Championship has eluded the Tigers in the Regional Era but last year’s No. 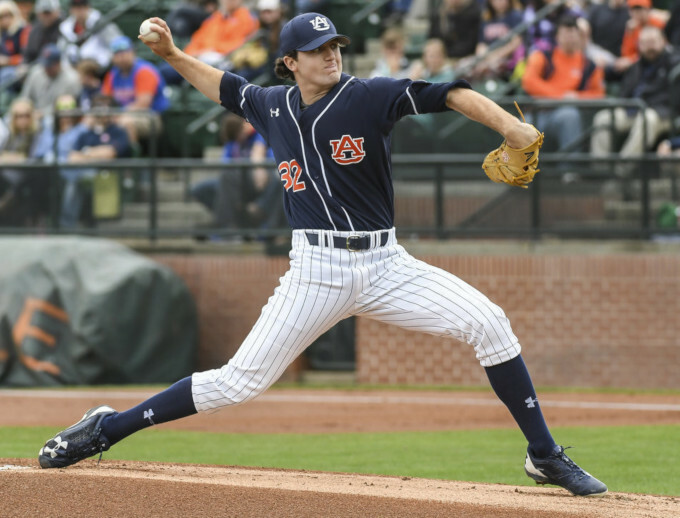 1 overall pick Casey Mize demonstrates the program is poised to improve on their ranking in years to come. St. John’s (NY) – Two trips to Omaha in the Regional Era and one Super Regional appearance puts the Johnnies in the No. 39 spot. Tulane – Making the post-season 21 out of 43 years since the Regional Era began, the Tulane Green Wave has been to Omaha twice. Cal – Fresh off a season where the Golden Spikes Award resides in Berkeley thanks to Andrew Vaughn, the Golden Bears have been to Omaha four times since 1975 but only one Super Regional since 1999. Nebraska – Go to the CWS in Omaha and you will see plenty of Big Red shirts and hats in town even if the ‘Huskers are not playing. Only three trips to Omaha for Nebraska in the Regional Era but a Golden Spikes award for Alex Gordon in 2005 vaults the Cornhuskers to No. 36 position. NC State – Make the post-season 27 out of 43 years in the Regional Era, going to Omaha once in 2013 will garner you a tie for No. 34 of the Top 50 Greatest college baseball programs since 1975. 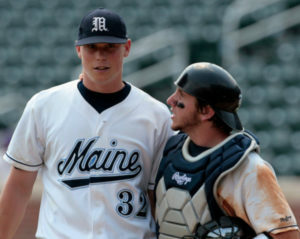 Maine – Six trips to Omaha, all coming prior to the Super Regional Era in 1999, helped elevate the Black Bears to a tie for No. 34. Maine will need to start making the post-season with more regularity now that the field has expanded to 64 in order to maintain their spot within these rankings. 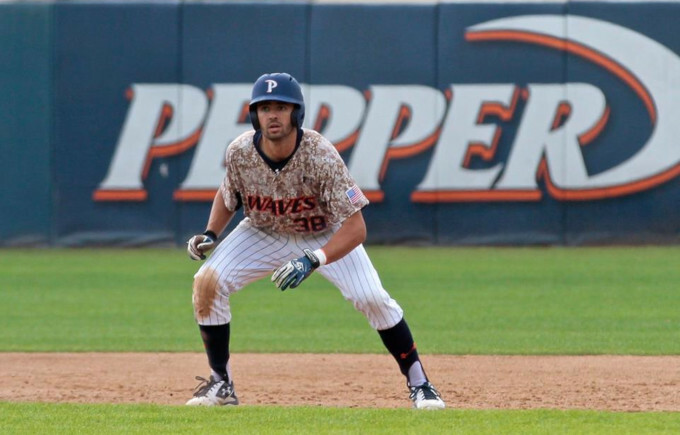 Pepperdine – Taking home a CWS championship in 1992 always helps your rankings. Last trip to the post-season came three years ago in 2015 and the Waves will need to start getting back to Regionals and Super Regionals if they want to remain on this list. 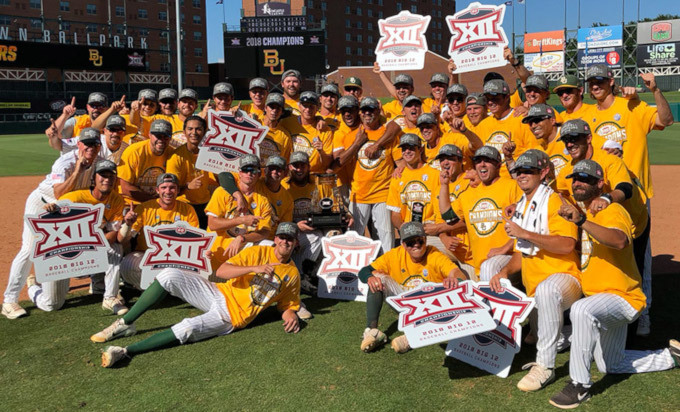 Baylor – It never hurts when your program can boast of having a Golden Spikes Award winner. Jason Jennings took home the hardware in 1999 and the Bears have visited Omaha three times and the Super Regionals four times. 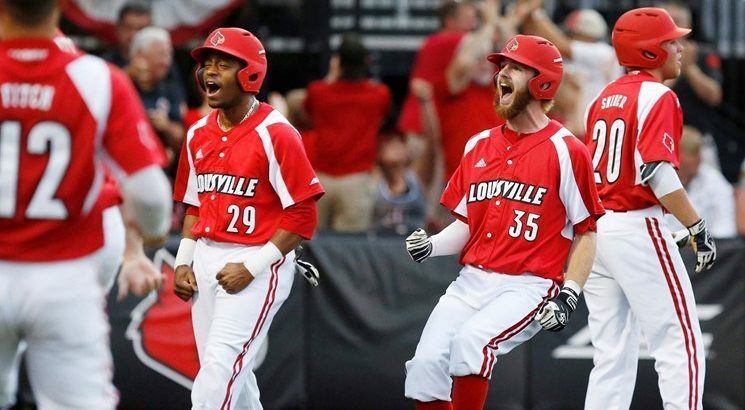 Louisville – Visiting Omaha four times with all of their post-season appearances and successes coming during the Super Regional Era, Lousiville is a program making a name lately. Two years removed from Brendan McKay taking home the Golden Spikes Award, the Cards should improve on this ranking after the 2019 season. Check back later this week as we reveal numbers 25-30.